It’s time to get ready for your favorite artist as they come to showcase their sounds LIVE at Keller Auditorium – that’s right, Portland Opera: The Barber of Seville will be taking to the stage on Sunday 9th June 2019… grab your tickets before it’s too late! Is your mind and body aching for some release and relaxation? Nothing beats the potency of this happy pill, a remedy and relief that can only be felt after spending moments at concert. Oregon is one of the privileged states to experience the power of pure entertainment headed this way in Portland at the Keller Auditorium. Portland Opera: The Barber of Seville is reputed to induce good vibes and great times, especially when enjoyed with the company of friends, mates, family, and loved ones. This so-called 'miracle cure' belong only to those bold enough to book their tickets early. 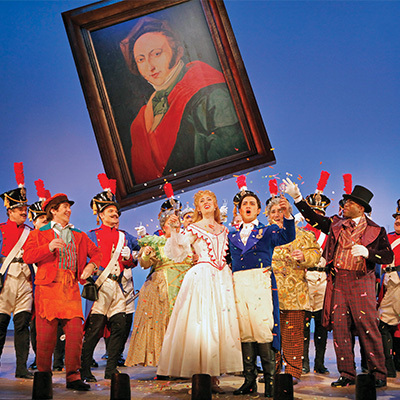 So jot this down on your planner, you've got an appointment with Portland Opera: The Barber of Seville on Sunday 9th June 2019 at the Keller Auditorium, Portland. Grab this chance and get your tickets now!